Salvage yards say yes the airbags are safe, critics say Junkyard airbags are not safe. A couple of weeks ago I wrote about airbag theft. There were 16 airbags stolen in my town in one weekend. Just this week I saw that it happened again in another nearby town. This time it was the same MO- sixteen airbags stolen. In my last post, I covered the airbag scams to watch out for. 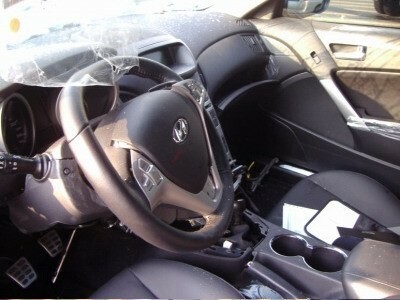 However what I did not cover was whether or not you can use a non-blown factory airbag from another car. More specifically can you use one from a junkyard if it hasn’t been exploded? The safe answer is that the ONLY replacement airbag that can be GUARANTEED to be safe is one purchased from a dealership parts department and is a certified an OEM replacement. As I covered in my last post especially with regards to the Chinese airbags, there are no legitimate “aftermarket” airbags from third-party suppliers. But what about unused factory units purchased from a junkyard? There are two sides to this answer, and it depends on who you want to side with. I’ll post both sides of the argument for you. “ARA has long cautioned the automotive repair industry community and consumers about the dangers of using counterfeit airbags, as well as the alarming practice of omitting airbags altogether in repairs,” the statement said. It went on to urge NHTSA to draw a clear distinction between counterfeit airbags and recycled non-deployed airbags that are genuine original equipment. In the late 1990’s the ARA conducted their own tests on hundreds of recycled non-deployed OEM airbags by an independent laboratory. The results showed recycled airbags to operate within mandated performance specifications. 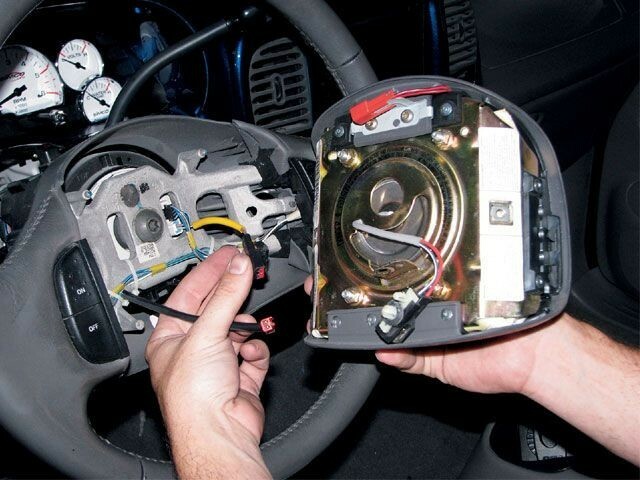 In 2006, the ARA Product Services launched “ARAPro,” which is a program to certify junkyard airbags that have been recycled by ARA member technicians, who must follow a 12-step protocol for removing and reselling a non-deployed airbag from a junked vehicle. The 12 steps cover the extraction, handling, inspection and storage of the recycled airbags. In addition, Automotive recyclers who follow the ARA Product Services protocol all carry multimillion-dollar liability insurance policies to back up the certification. Airbags are highly susceptible to moisture and temperature, and that is the downfall and the risk to using junkyard airbags. Many times junkyard cars are left open, or have the windshields broken out of them as a result of the accident. Once the airbag has been removed from the vehicle, there is really no way of knowing if it had been exposed to extreme temperatures or water while it was out in the salvage yard. Also there are no laws governing how airbags are to be removed from vehicles, handled or stored in a salvage facility. The IIHS also warned that the use of salvaged airbag modules “is likely to exacerbate the already significant problem of airbag theft.” Stolen airbags can be sold at low prices to unethical repair shop owners who then charge customers standard prices for replacement airbags, IIHS said. So coming full circle with my two posts, the very fact that one might use a junkyard airbag to replace a stolen airbag only continues to create the problem in a never ending loop. So are Junkyard airbags safe to use in your car? If they are quality units pulled from top quality ASA member salvage yards then the answer is yes. However if it was my car or truck, I’ll spend the extra on a new airbag from my dealership parts department.